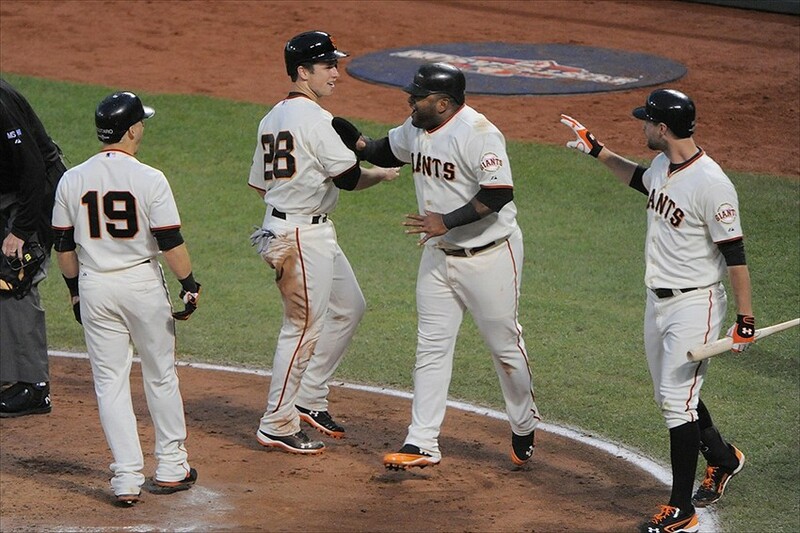 Are the San Francisco Giants Playoff-Bound in 2014? After winning two World Series titles between 2010 and 2012, the San Francisco Giants entered the 2013 season with great expectations. Despite a nearly identical starting lineup and starting pitching rotation as in 2012, the Giants struggled to re-capture the magic in 2013 that they experienced in 2012. 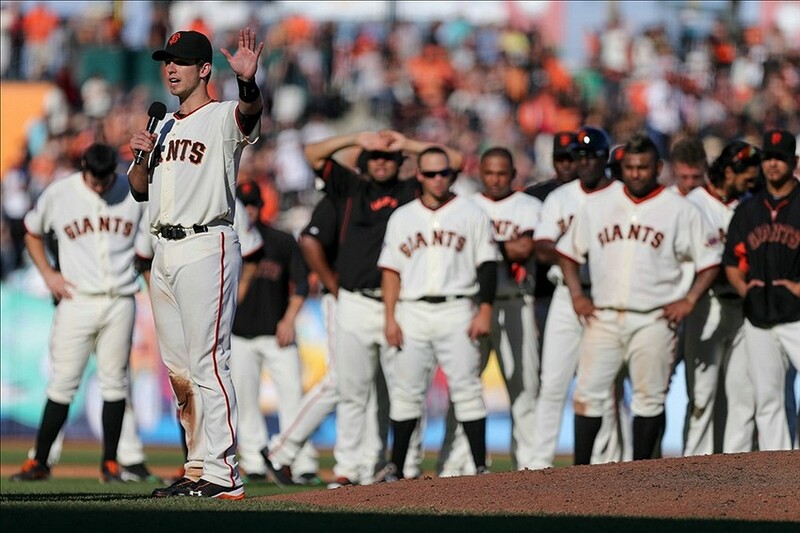 The Giants finished the 2013 season with a 76-86 record, which was third in the NL West. They had to deal with some injuries to key players, poor defense, fatigue, and inconsistent starting pitching. The Giants have addressed some of these issues so far in the offseason, and they hope that the corresponding roster moves that they’ve made will propel them to the playoffs in 2014. Let’s examine these moves and determine if these changes will lead to a playoff berth. First of all, Brian Sabean made it a priority to re-sign Hunter Pence and Tim Lincecum before the 2013 season was over. He didn’t want them to test free agency and potentially sign with another team. Sabean was able to re-sign Pence to a five-year, $90 million contract. In 2013, Pence hit .283 with 27 home runs and 99 RBI, and he played in all 162 games. He also stole 22 bases, had a .339 OBP, and a .483 slugging percentage. Off the field, he is the heart and soul of this Giants team. He has an incredible work ethic, he plays with a lot of heart, he hustles no matter what the score is, and he’s a great teammate. Pence made it perfectly clear that he wanted to stay a Giant, and he said that he understood the responsibility that comes with such a large contract. After re-signing Pence, Sabean then re-signed Tim Lincecum to a two-year, $35 million deal. This was a controversial signing. Although Lincecum has been a longtime fan favorite, he hasn’t pitched like a two-time Cy Young Award winner in the past couple seasons. In 2012, he had a 5.18 ERA in 186 innings, and in 2013, he had a 4.37 ERA in 197.2 innings. Lincecum has struggled with his command, and he’s had to evolve as a pitcher in order to stay relevant and serviceable. He did throw a no-hitter last season though, and he showed elements of brilliance in the second half of the season. Despite his struggles, he will be a key part of the starting pitching rotation in 2014. The Giants also re-signed fan favorite Ryan Vogelsong, who will be the fifth pitcher in the starting rotation. After not picking up his $6.5 million contract option for 2014, the Giants signed Vogelsong to a one-year, $5 million contract. The Giants also brought back left-handed specialist Javier Lopez and signed him to a three-year, $13 million contract. This was a key signing, because his ability to strike out left-handed batters is unique and extremely valuable. The Giants also signed some new faces this offseason. The Giants desperately needed another starting pitcher, so they signed Tim Hudson to a two-year, $23 million deal. Hudson, a 14-year veteran starting pitcher, had a 3.97 ERA, struck out 95, and walked 36 in 131.1 innings in 21 starts last season. Hudson suffered a gruesome ankle injury in July 2013, which cut his season short. He has recovered well and is expected to be ready to pitch by spring training. Another significant addition to the Giants is Michael Morse, who is expected to be the Giants’ everyday left fielder. The Giants signed Morse to a one-year, $6 million deal plus incentives based on plate appearances, which could lead to $3 million more. Last season, he struggled at the plate because of a wrist injury, but he had his best season in 2011 with the Nationals when he hit .303 with 31 home runs, 95 RBI, and he had a .360 OBP and a .550 slugging percentage. Morse brings some much-needed right-handed power to the Giants. Given all these additions and signings, the Giants will enter the 2014 season with a more complete roster. Their starting lineup in 2014 will most likely be: Pagan CF, Scutaro 2B, Belt 1B, Posey C, Pence RF, Sandoval 3B, Morse LF, Crawford SS, and the pitcher’s spot. If everyone remains healthy, which is key for the Giants, then this lineup could definitely propel the Giants to another NL West title or at least another playoff berth. This lineup is well-balanced and has speed, power, and versatility. The starting pitching rotation will be something like: Matt Cain, Madison Bumgarner, Hudson, Lincecum, and Vogelsong. Cain was uncharacteristically inconsistent last season, but given his history of dominance and his work ethic, it seems as if he’ll bounce back and have another stellar season in 2014. Bumgarner was the ace of the pitching staff last season, and he’s one of the best, most intriguing pitchers in MLB. Hudson is getting older, but he’s a veteran and will benefit from pitching in the pitcher-friendly AT&T Park. Lincecum and Vogelsong are both question marks going into next season, in terms of production. 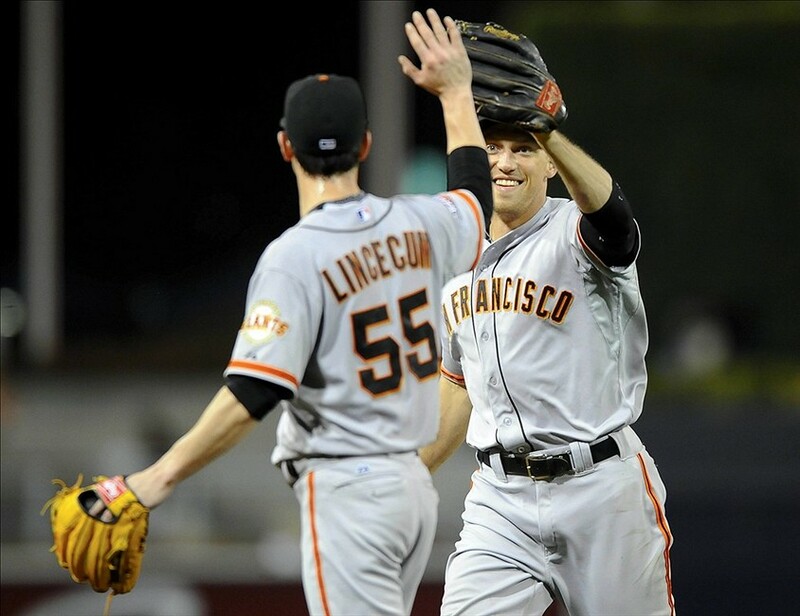 The success of the starting pitchers will determine the Giants’ season and if they’ll make the playoffs in 2014. It’s somewhat unclear how some of the pitchers will perform next season, but Giants fans should be hopeful that the extra rest this offseason will help the starting pitchers perform better. Oddly, not making the playoffs in 2013 was a blessing in disguise for the Giants. After playing so many playoff games in 2010 and 2012 (especially having so many potential elimination games in 2012), the Giants clearly and understandably looked fatigued at several points in 2013. This certainly explains Cain’s struggles and some of the injuries that occurred to players who participated in the World Baseball Classic before the 2013 season. Posey even said he was going to condition differently during this offseason because his legs felt sore and tired at the end of the 2013 season. At this point, the 2014 Giants’ team can only be judged on paper. Obviously, health is key to the Giants’ success, but, if key players remain healthy, it seems as if the Giants will have a great shot at making the playoffs in 2014.